Want an easy way to follow NTEN’s board on Twitter? Check out the board list! Ananda Leeke serves as the Chief Social Media Officer at the Multicultural Media, Telecom and Internet Council, a national not-for-profit organization dedicated to promoting and preserving equal opportunity and civil rights in media, telecommunications, and technology. Ananda is also a certified mindfulness teacher, author, speaker, trainer, yoga instructor, reiki practitioner, and artist. Her books, “Love’s Troubadours,” a yoga-inspired novel; “That Which Awakens Me,” a mindful creativity memoir; and “Digital Sisterhood,” a mindful technology memoir, are available on Amazon: amzn.to/2MuIHoJ. She speaks at events sponsored by AT&T, Automattic, Big Bear Retreat Center, BlogHer, Congressional Black Caucus Foundation, Howard University, Institute for Medicaid Innovation, Latinos in Tech Innovation and Social Media, Marisla Foundation, Meetup/WeWork, NTEN, Spelman College, Unity of Washington, DC, Washington National Cathedral, and Web of Change. She regularly shares her meditation, mindfulness, and social media expertise as a commentator on WHUR 96.3 FM. In addition, she hosts and produces the #ThrivingMindfully Podcast. She is a proud alumna of Georgetown University Law Center, Howard University School of Law, and Morgan State University. First term runs through Spring 2021. Beth Kanter is a well-established international leader in nonprofits’ use of networks, data, and learning. Her first book “The Networked Nonprofit,” introduced the sector to a new way of thinking and operating in a connected world. Her second book, “Measuring the Networked Nonprofit,” is a practical guide for using measurement and learning to achieve social impact. 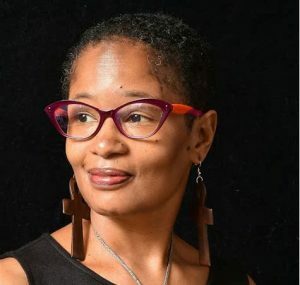 She is currently working on her third book, to also be published by Wiley, called “Happy, Healthy Nonprofit: Strategies for Impact without Burnout” which will focus on self-care in the nonprofit sector. She is the author of Beth’s Blog where she writes about networks, data, learning, training and facilitation techniques and self-care, one of the longest running and most popular nonprofit blogs. Beth has over 35 years working in the nonprofit sector in technology, training, and capacity and has facilitated trainings for nonprofits on every continent in the world (except Antarctica). Find her on Twitter at @kanter. First term runs through Spring 2019. Deb Socia is the Executive Director of Next Century Cities, a nonprofit that works with cities who have, or want to have, fast, affordable, reliable broadband. Next Century Cities was recognized by the White House during a press conference on broadband and Deb has been asked to testify before the Congressional SubCommittee on Communications and Technology. Prior to her new role as the Executive Director of Next Century Cities, Deb Socia was the Executive Director of the Tech Goes Home program whose mission is to ensure digital equity. The program was selected as a ComputerWorld 2011 Laureate, was awarded the Public Technology Institute’s 2011 Solutions Award and the 2009 Verizon Tech Savvy Award as well as being mentioned as an exemplary program in several national publications. Deb was named the NATOA Community Broadband Hero in 2013, received the 2013 Pathfinder Award from MassCUE, the 2010 “Leadership and Vision” award from CRSTE (Capitol Region Society for Technology in Education), the Quincy/Geneva Community Advocate award in 2009, and the Lilla G. Frederick Award in 2008. First term runs through Spring 2019. Farra Trompeter is Vice President at Big Duck, a communications firm that works exclusively with nonprofits to help organizations reach supporters, build awareness, and raise money. Farra has more than 20 years of experience in fundraising and communications for nonprofit organizations. Farra’s expertise focuses on helping nonprofits create multichannel campaigns and use social media to connect with donors, activists, and other members of their community. She also loves building people’s skills and knowledge through coaching, workshops, webinars, and classes. Farra co-organized 501 Tech NYC—a monthly meetup for NTEN Members and New York City’s nonprofit tech crowd. She is also a volunteer for the New York City Anti-Violence Project, for whom she’s been volunteering since 2004. Farra is a part-time faculty member at The New School for Public Engagement and New York University Wagner Graduate School of Public Service, where she teaches classes about online engagement and strategic communications for nonprofits. She holds an M.S. degree in nonprofit management from The New School. Farra tweets about nonprofit communications and fundraising at @Farra. First term runs through Spring 2018. 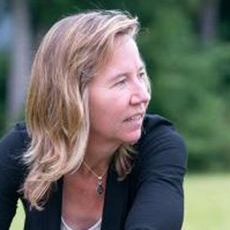 Gayle Samuelson Carpentier is the Chief Business Development Officer at TechSoup Global. Upon joining TechSoup Global in 2001 as the program’s founding Business Development lead, Ms. Carpentier developed the strategic structure of its product donation service. The service allows nonprofits to find a large array of donated technology in one place, while still reflecting each donating company’s unique philanthropic goals. In her expanded role, Ms Carpentier works with all sections of TechSoup Global to grow and maintain the unique focus of direct services and benefits to the nonprofit and civil society sector. Whether scoping business criteria for new international partners, negotiating multi-national donation programs, developing business strategies and structures for new initiatives, or speaking out on the essential need for corporations to support nonprofit efforts, she continues to expand and stretch the market understanding and interpretation of the role technology plays in the overall health of the sector. First term runs through Spring 2020. Jason Shim How can we harness technology to make a difference in the world? That’s the question Jason Shim loves to answer for organizations. 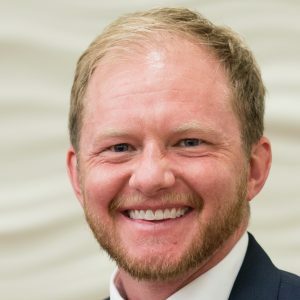 With over 10 years of experience spanning the nonprofit and academic sectors, Jason is a creative entrepreneur with a wide variety of applied knowledge and skills. He has spent his career helping numerous organizations develop and deploy strategies supporting fundraising, marketing, and program delivery. Jason is a published author, as well as a speaker on topics including digital fundraising, digital marketing strategy, online youth engagement, web analytics, and digital currency. Currently, he serves as Associate Director, Digital Strategy and Alumni Relations for Pathways to Education Canada leading the organization’s national digital strategy. At Pathways, he pioneered the adoption of social media to improve program delivery to youth and also implemented emerging technologies such as Bitcoin. First term runs through Spring 2019. John Zoltner has more than 20 years of professional experience designing, implementing, and evaluating initiatives that take advantage of the power of information and communication technologies (ICTs) to achieve social impact across the globe. John is currently the Washington, DC-based Director for FHI 360’s TechLab, a 14-person team dedicated to adapting ICTs and developing business models that improve lives in many of the world’s most challenging countries. As director of the TechLab, John draws on his extensive experience working with early stage social entrepreneurs to identify and adapt technologies to achieve FHI 360’s vision of providing individuals and communities with the opportunity to reach their highest potential. John holds both an MBA and a BA in English Literature with a minor in Philosophy from Georgetown University, where he also taught the Innovations in Information Technology and Communications class for the Georgetown Center for Public and Nonprofit Leadership certificate program for nonprofit CEOs. First term runs through Spring 2018. Jude Parker Koski is the Communications and Development Manager at California Youth Connection. CYC, where Jude has been a staff member since 2002, is California’s foremost youth advocacy organization, with a mission to develop youth who have experienced foster care to transform the foster care system through legislative, policy, and practice change. Jude has over 23 years of program development and leadership experience with nonprofit organizations. Previously he served as the Chapter Coordinator at COLAGE, an organization for people with LGBTQ+ parents uniting for change, and Education Coordinator for Ozone House in Michigan, services for runaway and homeless youth. Jude is a founding leader of San Francisco Garden Resource Organization, which provided assistance to the network of community gardens. Jude is a feral community cat Trap Neuter/Spay Return TNR advocate and cares for the cats on his block. His volunteer activities have included serving as Governance Chair for the San Francisco Recreation & Parks Department Community Gardens Policy Committee and on the Board of Directors of the Hayes Valley Neighborhood Association in San Francisco and Mountain Meadow Summer Camp in New Jersey. Jude holds a MBA in Sustainable Management from Presidio Graduate School. Home is in San Francisco with his partner and three rescued kitties. Jude enjoys designing and woodworking with repurposed materials, garden landscaping, and adventures in nature by the shore. First term runs through Spring 2021. Ken Montenegro is a Los Angeles native and has been a nonprofit technologist for over 17 years. He has been fortunate enough to work with the Northeast Valley Health Corporation; Maternal & Child Health Access; Homeless Healthcare Los Angeles; and the Coalition for Humane Immigrant Rights of Los Angeles. He is currently the Information Technology Director at Asian Americans Advancing Justice Los Angeles. When not doing nonprofit technology, Ken can often be found working with community based groups resisting state violence on behalf of the National Lawyers Guild, or bumming around book and record stores with his teenage son. Ken is the child of Guatemalan & Ecuadorian immigrants. His educational background is in history and literature; is a law school graduate; and has had poetry translations (Spanish to English) appear in 3 literary journals. First term runs through Spring 2018. 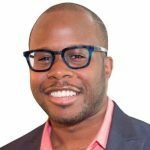 Meico Marquette Whitlock is a speaker and trainer on mindfulness, technology, and productivity and the Founder and CEO of Mindful Techie, an organization that helps purpose-driven high achievers and organizations have an impact without burning out and being distracted by technology. Meico’s work has been featured on ABC News, Fox 5, Radio One, and on the main stage at events such as the Nonprofit Technology Conference. First term runs through Spring 2021. Nam-ho Park has been active in web technologies and crafting user experience for over 20 years. He is the principal of PLAIN Strategies, providing outcome-focused lean digital strategies for nonprofits and impact-driven organizations. Having lived and worked in London, Seoul, Hanoi, New York, Washington DC, and now Seattle, Nam-ho’s experience is drawn from a lifetime of exploration. Nam-ho has been a speaker at conferences including NTC, WebVisions and Drupalcon, helped train nonprofits around internet technologies in Korea at the Daum Foundation and was a founding member of TEDxSeoul. 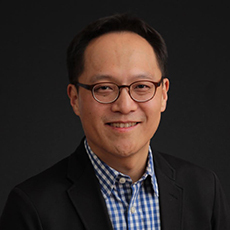 Nam-ho is a part-time lecturer at the University of Washington’s Information School where he instructs the Capstone Projects course focusing on social impact. He holds a Master of Architecture degree from Columbia University. 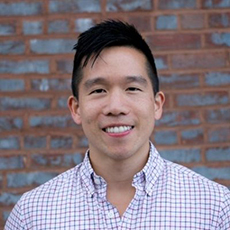 Rob Wu is the CEO of CauseVox, an online and peer-to-peer fundraising platform for fundraising and communication teams at nonprofits. You can use CauseVox to create and manage online fundraising campaigns that inspire, activate, and rally your supporters to reach new donors.Rob has raised over $200,000 for his own social good crowdfunding projects, and his work has been recognized by CNN, Christian Science Monitor, and the Wall Street Journal. He has spoken on crowdfunding and peer-to-peer fundraising at places like the Nonprofit Technology Conference, SXSW, and Clinton Global Initiative U. Guest blogged for VentureBeat and Social Media Examiner. In a previous life, Rob worked as a Certified Public Accountant. Vailey Oehlke is the director of Multnomah County Library, the third-highest circulating library in the United States. In her 20 years working in public libraries, Vailey has observed firsthand the game-changing effects brought about by shifting trends in the digital landscape on the information needs of patrons and communities. With Vailey at the helm, Multnomah County Library achieved launched the Rockwood Makerspace, the library’s first creative learning space; The Gallery, the library’s first online platform for digital special collections; the nationally renowned My Librarian service, which offers readers the opportunity to connect with librarians in an online environment to receive personalized book recommendations; and the first ever countywide Digital Equity Action Plan. In addition to serving on the NTEN Executive Board, Vailey is a member of the IMLS-COSLA Measures That Matter Advisory Committee. She is a former President of the Public Library Association (2015-16), has served on the executive boards of PLA (2011-13) and the Urban Libraries Council (2012-15), and has contributed to an array of other working groups and committees. When she’s not at the library, she enjoys being outdoors, dining with friends, motorcycling down smooth rural highways and cavorting with her adorable dog, Tucker.